As a renowned firm in the market we have been engaged in offering a wide range of Aluminium Window Installation Service. 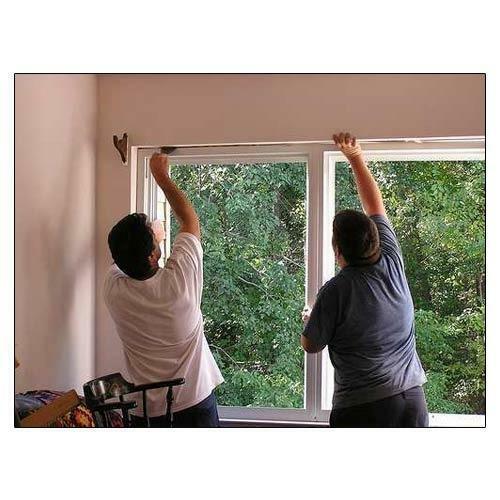 This Aluminium Window Installation Service are executed with fine finish and are widely demanded in different commercial and residential sectors. Backed by a team of experienced designers and trained workers these services are offered within stipulated time frame. Established in the year 2013, at Hyderabad, Telangana, India, we SRP Facade Engineers, are one of the most trusted firms, engaged throughout as a Service Provider of Curtain Wall Installation Service, Glazing Service, Patch Fitting Service, Cladding Service, Installation Service, Glass Railing Fabrication Work & Glass Canopy Fitting Service. These services are rendered by our experienced and skilled professionals, who posses rich expertise in this domain. Our professionals are able to render these excellent services depending on the specific demands of clients. Further, our experts professionally render these services as per set industry standards. In order to execute these services, we utilize advanced machines and tools. Clients can avail these services from us at the most affordable rates.